With its versatility and power, the MXU 700i is perfectly in tune with today’s ATV users. 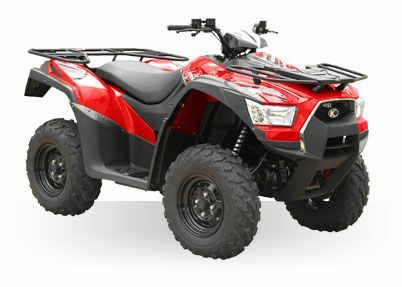 Equipped with a 695cc, liquid-cooled, fuel-injected SOHC engine, the MXU 700i boasts 45 horsepower, more than enough to master any off-road challenge. A CVT automatic transmission, on-demand, push button 2WD/4WD, dual A-arm suspension and hydraulic disc brakes are standard and amenities include five position pre-load, oil damped shocks that provide as much as 10.4 inches of log-crossing clearance, a 187-pound receiver hitch and storage under the fenders. The MXU 700i comes in any color you want as long as it’s green, black or red.